What if the server on which the website is hosted suddenly lose its worth and goes down? It would be difficult for you to know until some dedicated friends shoot you an email on PC or mobile that website performance is affected. Even some time situation becomes worse, as your friends are also not able to inform you then how will you monitor the website in downtime and uptime. In Alertra, is industry innovator. They have done the hard work to design a robust and scalable solution to ensure you get alerted in time, every time. Their innovative Alertra Synapse ™ technology can detect hard connection failures, computer crashes and operating system failures within seconds. No one else does. They do not store cached search server names either. That means that we know that something is wrong with your authoritative name server immediately, instead of waiting for their TTL (time-to-live) to expire, which could be days. 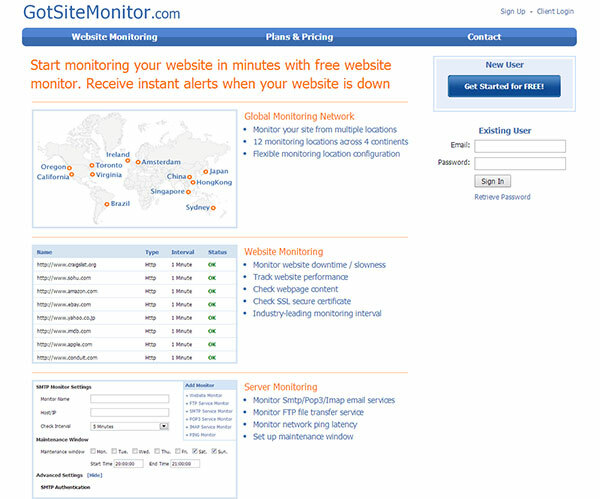 Free-site-status specializes in monitoring websites and servers; many users around the world use site service to monitor their website and server for downtime site. The statistics are generated based on the websites and servers monitored by their user sites. This provides an unbiased view of the quality of service offered by the webhost companies. Not monitor the homepage of web host or ISP, we monitor the websites or servers hosted by these companies from sites users. 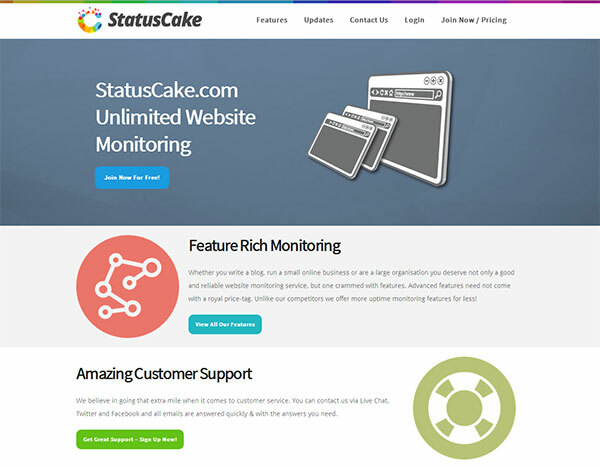 Start tracking your website in minutes with a free website monitor. 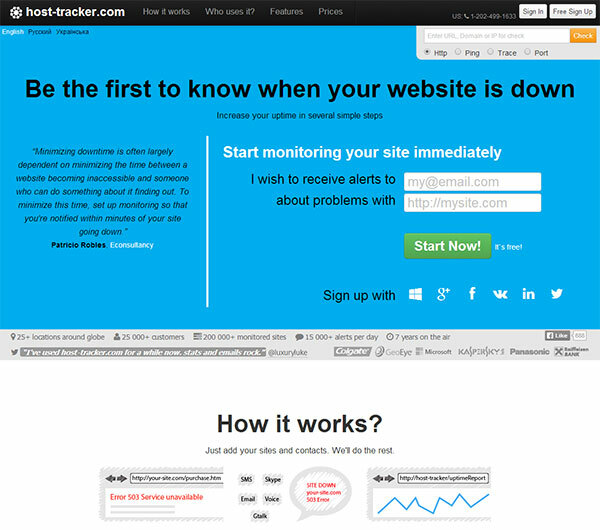 Receive instant alerts when your website is down. Global Monitoring Network, Monitor your site from multiple locations, 12 monitoring sites across 4 continents, Location Settings flexible monitoring. Instant notification be the first to know about server problems, Get telephone calls and SMS and get free unlimited e-mail alerts. Their sites or servers will be reviewed from places around the world, with a specific interval. You can have as many contacts as you want. Above all, the alerts are free. Uptime reports dispatched to you. Also you can expose data uptime of its customers and partners. Following are the features that they provide. 24/7 monitoring, Uptime and Response Time reports, Email, SMS alerts Multiple locations check, Instant Check and Maintenance Scheduling. 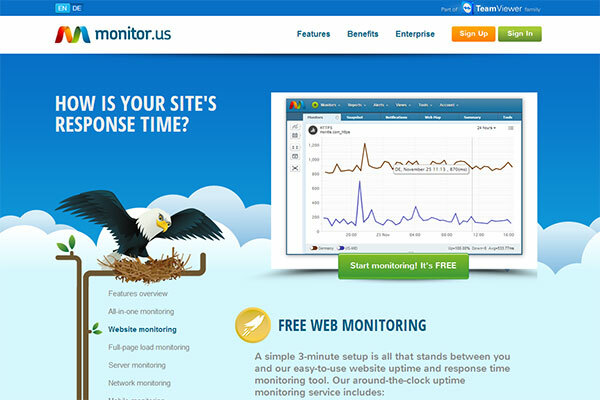 Monitor.Us is the cloud-based service that functions with multiple monitors IT systems of all sizes, easy to use, all-in-one dashboard. And it’s free. No tricks, no contracts, no cost to you. Settings in just three minutes to find free tools available to track. 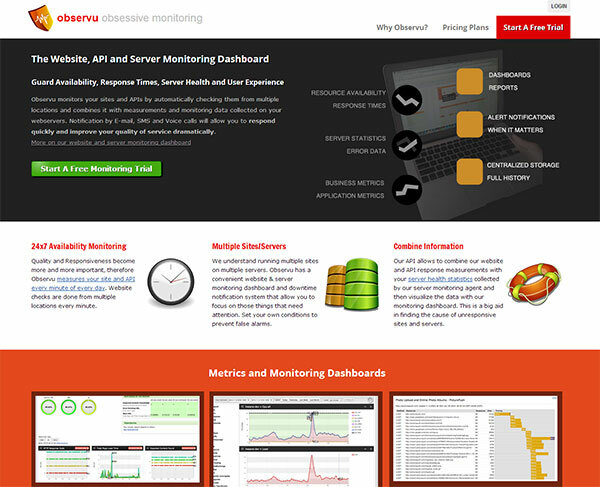 Such as website monitoring, mobile monitoring, Open API monitoring, Network monitoring, Full page monitoring, all in one Monitoring, Server monitoring. 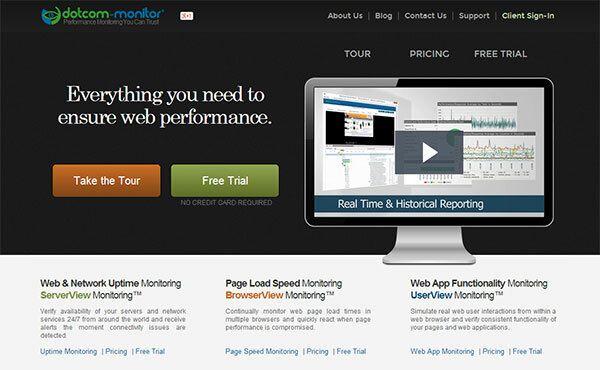 Monastic is the simple supper website monitoring service. 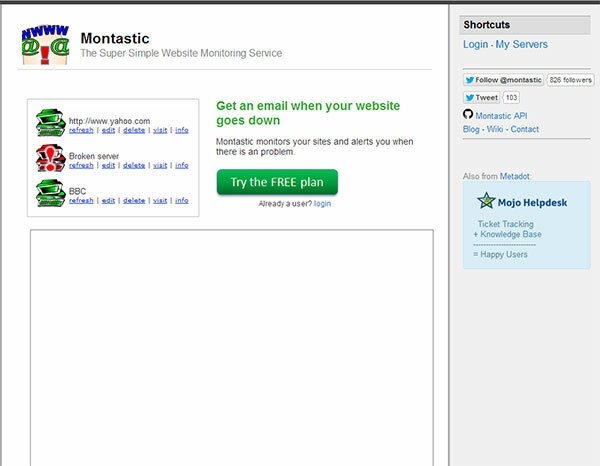 Monastic monitor your site and alert you when there is a problem. When your website goes down you receive an e-mail from them. Some of the monastic features receive an email when your site goes down, receive an email when your site goes up, and support HTTP, HTTPS and any port number. You can check for specific content website Support for HTTP authentication, Very easy to use user interface, Monitoring frequency to every five minutes, Apps and widgets for Mac, Windows and Android, United Checkpoint available through RSS, Developer REST API. The website, API and Monitoring Server Dashboard Guard availability, response times, Server Health and the user experience. Observe APIs and controls its sites from multiple locations automatically checking and combined with measurements and monitoring data collected on their web servers. Notification by E-mail, SMS and voice calls will allow you to respond quickly and improve their quality of service dramatically. Pingability monitor those sites as often as you like. You tell us what websites and services for monitoring. If the service falls Pingability will be notified (by phone, SMS or email) come to the site at any time to get uptime reports and detailed analysis. Pingability can monitor basic web pages, of course. You can also check URLs SSL secured (no extra cost); confirm the existence or absence of a keyword in that page and check pages respond within a specified period. 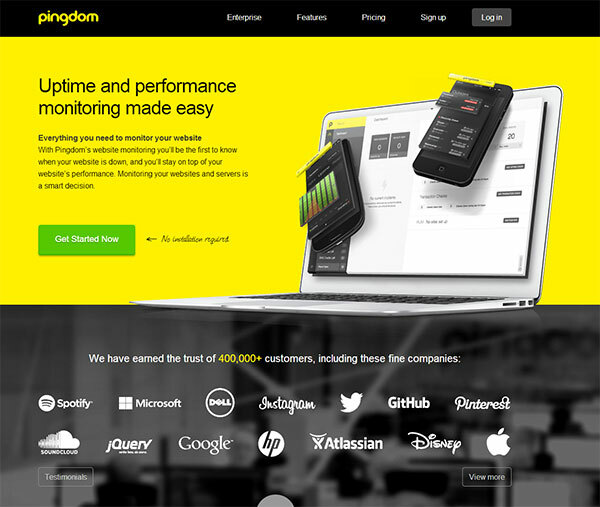 Pingdom makes it easy for you to monitor the uptime and performance of your website or server. Here is a look at why monitoring is as important as antivirus or backup service. Websites today are increasingly complex and depend on many critical parts that can break. When that happens – and it will – you want to be the first to know. Pingdom has the infrastructure to ensure that your website works, proving automatically as often as every minute over 50 locations worldwide. 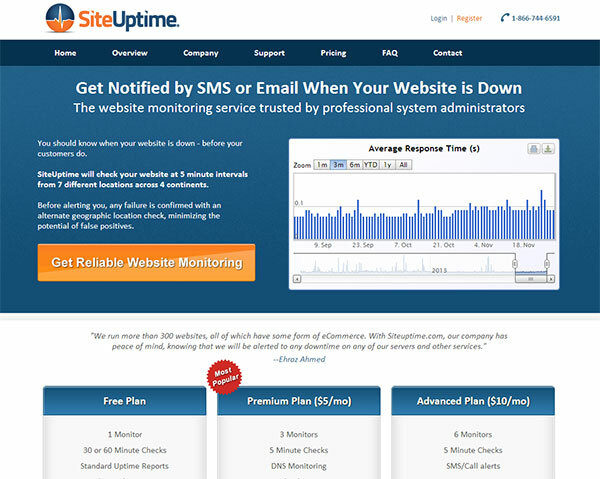 Site Uptime offers over 125,000 website owners with an online service to monitor website availability. Our services are designed to provide any webmaster or website owner with a fast, efficient and automated method to ensure that your website is up and running properly. SiteUptime now offers an API (REST-based) for users with a premium account or Advanced. Our API documentation contains all the information you need to use the API. 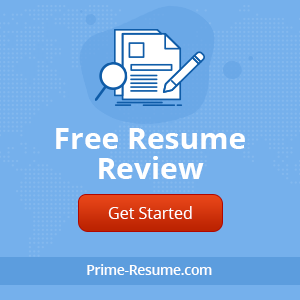 If you write a blog, run a small online business or a great organization that deserves not only a good and reliable web monitoring service site, but packed with features. The advanced features need not come with a realistic price tag. Unlike their competitors, they offer more uptime monitoring features for less. Everyone with a website knows that sometimes things can go wrong. Sometimes it is with the code, the server or the network. 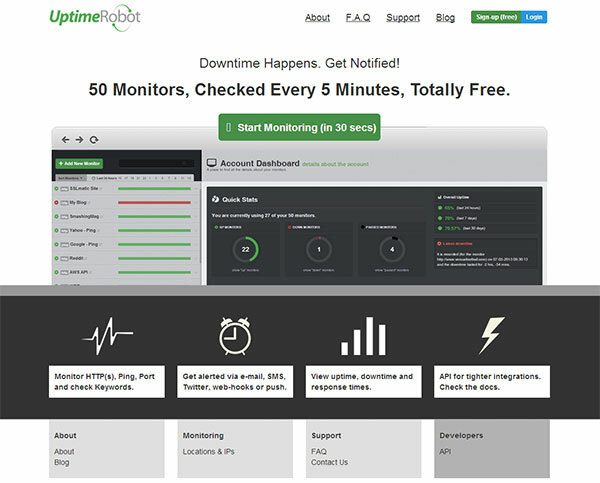 Uptime Robot is all about helping to keep their websites up. It monitors your websites every five minutes and alerts him if the sites are down (actually, it’s smarter and effective). 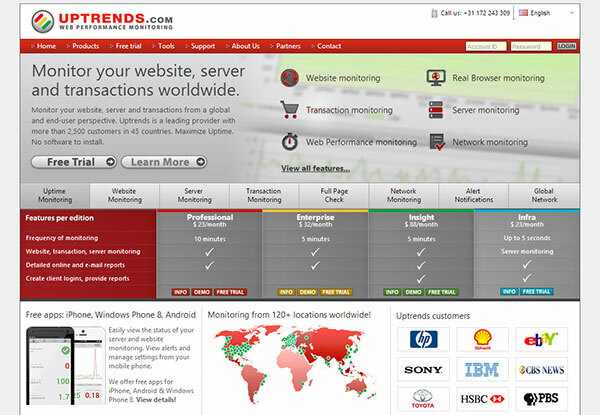 Uptrends is a leading global provider of remote website, transaction and server monitoring service. We are here to ensure your website or servers are always available, as planned. Uptrends is a flexible, organized and website performance monitoring system server that allows you to identify and diagnose downtime and errors quickly. Our checkpoints around the world continue to your website or servers 24/7, all year. Uptrends will immediately notify you in the event your web site, network or server fails, or if the transaction is not working properly. Such as Full HTML web page test load time, check my site worldwide, trace route to site, Free DNS Report, IP address identification. Thank you for sharing with us, I conceive this blog post really useful for us.